The Duchess, who is President of the charity, unveiled the new facilities, which include 14 new and refurbished bedrooms, and will enhance care and enable the children’s hospice to provide continuous support to young people aged 18 and older for the first time. 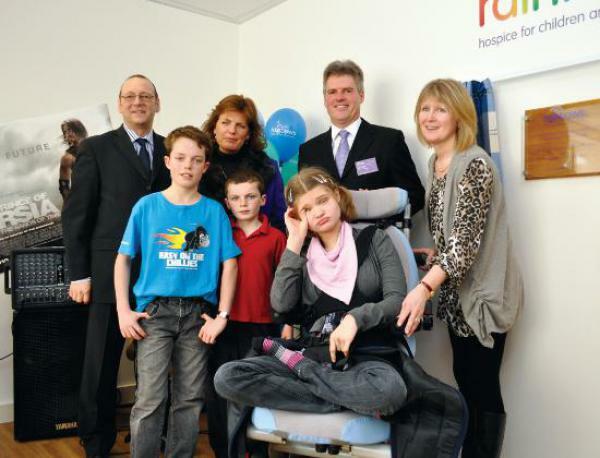 The Mayors of Leicester, Nottingham and Charnwood and other dignitaries including the High Sheriffs of Nottinghamshire and Leicestershire, were also on hand to mark the occasion along with the Duchess of Rutland and Marquis of Granby and the carers, children and families who will use the new facilities, including Eleanor Newby from Leicester, who is a patient at Rainbows and her family. 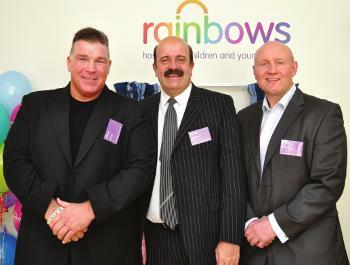 They were also joined by patron Willie Thorne, boxer and actor Big Joe Egan and ex-Tigers player Derek Jelly. Comprising a new hydrotherapy pool, a state-of-the-art multi-sensory room, young persons’ lounge, cinema facilities, soft play and much more, Rainbows has invested £4million in the new facility, which will accommodate even more local children and young people and enable them to give even higher levels of care and additional days of much needed respite. Rainbows was founded in 1994 by Gail and Harry Moore after the death of their daughter, Laura, who was suffering with Leukaemia. A care team of children’s, general and learning & disability nurses, therapists, GPs and volunteers now accommodate more than 230 life-limited children from across the East Midlands at the Loughborough-based hospice. First image: Rainbows Chief Executive Geoff Ellis, Marquis of Granby, Duchess of Rutland, Lord Hugo Manners, Chair of Trustees Kevin Elliott, Eleanor Newey and mum Theresa.